Following on his video review of our FL22 Adventurers Party it was my pleasure to view Talking About Games new review of the beginners box set for Flintloque the Skirmish. 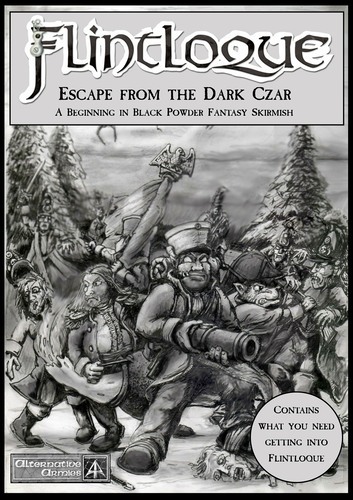 5024 Escape from the Dark Czar is a jumping off point for those who want to play some black powder fantasy set in the World of Valon. My thanks to Abraham of 'TAG' channel and I will point out that we gave the box set to TAG for free but we had no input in the review. The review lasts for thirty five minutes and covers many different aspects of Escape from the Dark Czar. They look at the miniatures, the dice, the bases, the booklet and then spend time on the background of the game and the characters. A play through of the first scenario in the booklet follows and walks through the game mechanics. It is an excellent impartial review. If you want to get into Flintloque then this is the set for you and it made me smile that Abraham got that immediately and was then keen to expand his play. 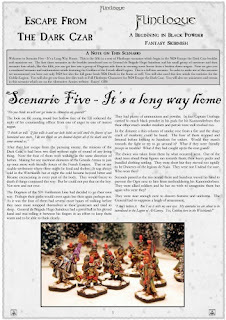 A play through of the second scenario in the Escape the Dark Czar booklet! Click to view. Enjoy this one and see how Abraham gets the survivors through 'Let them Eat Soup for there is not Enough Bread to Live' which is all about collecting vital food from an abandoned Cart (we used our 59524 Abandoned Goods Wagon for this). Excellent and I look forward to seeing the play through of the third scenario. 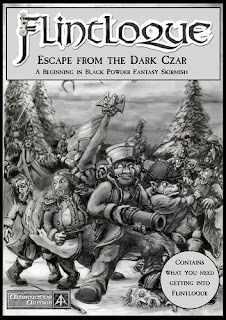 Here is more on Escape the Dark Czar and the free resources that exist for it. The bitter retreat from Moskova is where you begin your adventure. Take command of General de Brigade Hugo Saindoux and his three fellow survivors as they attempt to evade death and escape from the Witchlands. On their heels are a group of Savant Zombies, the finest Undead in the ranks of the Dark Czar, who are led by Captain Preserovitch. Their task is to capture the golden eagle standard carried by the young Elven drummer boy Ayers Quinte de Toux. Will the survivors outwit the living dead? 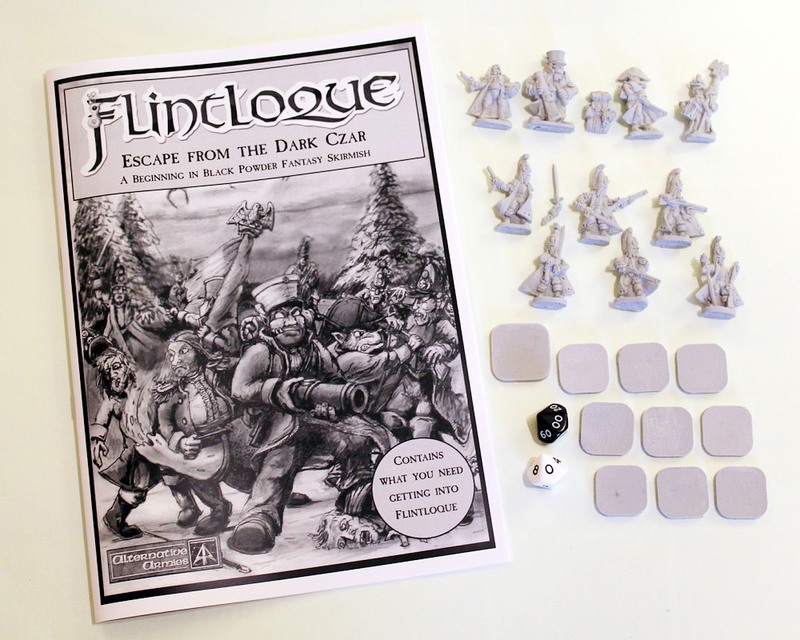 In this set is a twenty page booklet containing the core rules of Flintloque the Skirmish which will get you playing as well as character profiles and three introductory scenarios as well as the story of the Witchlands campaign. Written by Gavin Syme (GBS). 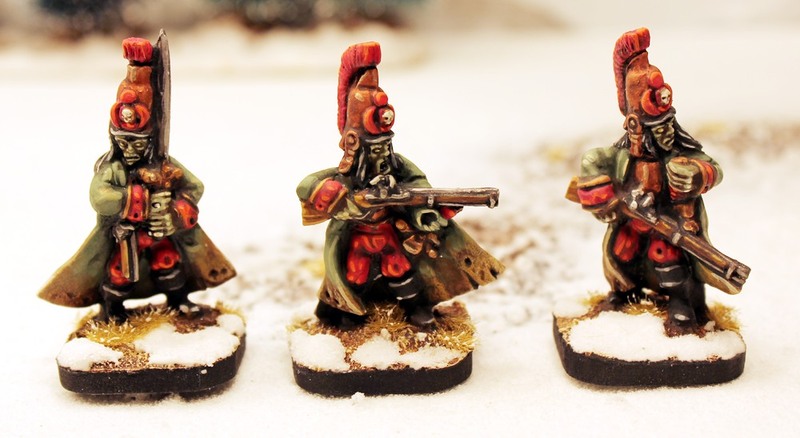 Included are ten high quality resin 28mm miniatures are in the set designed by Sam Croes. Four mortals (An Elf, young Elf, Dogman and Ogre) and six Savant Zombies. Ten bases for your miniatures and two percentile dice. All you need to get playing and to begin your adventures in Flintloque. You can purchase the boxed set unpainted or painted and based ready for immediate play. Go HERE You can also get the booklet on its own as a paid digital download HERE. If you want to talk about Flintloque and see what is happening or to ask questions then join our Alternative Armies Tabletop Gaming Group on Facebook where I lurk and will be happy to talking gaming with you. 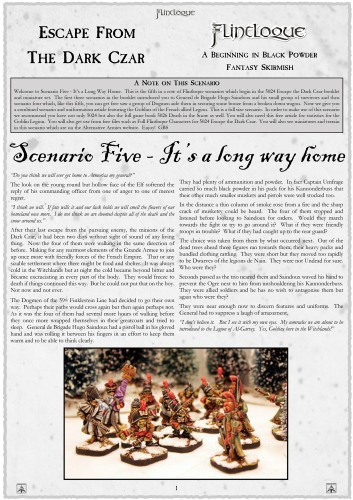 We have a new page on the website called Beginning in Flintloque which is quite sparse presently but it will fill up with codes and free resources, such as this review video, giving a way into the vast World of Valon as we release more miniatures and other things which follow on from 'Escape the Dark Czar'. Things on this page are your start with the game.